In 1792, 400,000 people put their signature to petitions calling for the abolition of the slaves trade. This work explains how this remarkable expression of support for black people was organized and orchestrated, and how it contributed to the growth of popular politics in Britain. 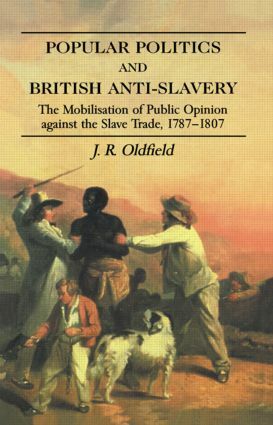 "The campaign for the abolition of the slave trade has often been described but never better than by J R Oldfield in this account…"
"necessary reading for students of Britain"s abolition of the slave trade"
Albion - Judith Jennings, Kentucky Foundation for Women- " Oldfield"s book has much to commend it, and I highly recommend it to readers interested in the nation-wide scope and cultural context of abolition.